Receive this one for a kind Melody Stone. 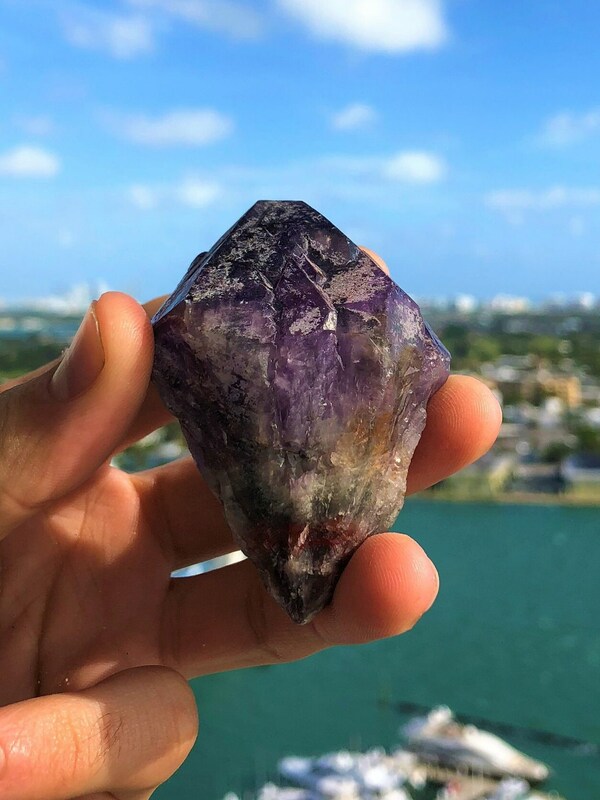 This crystal is a combination of Amethyst, Clear Quartz, Smoky Quartz, Cacoxenite, Rutile, Goethite and Lepidocrocite. Super Seven is considered to be remarkable because it has the unique ability to simultaneously connect us to Higher States and ground us firmly in physical reality. 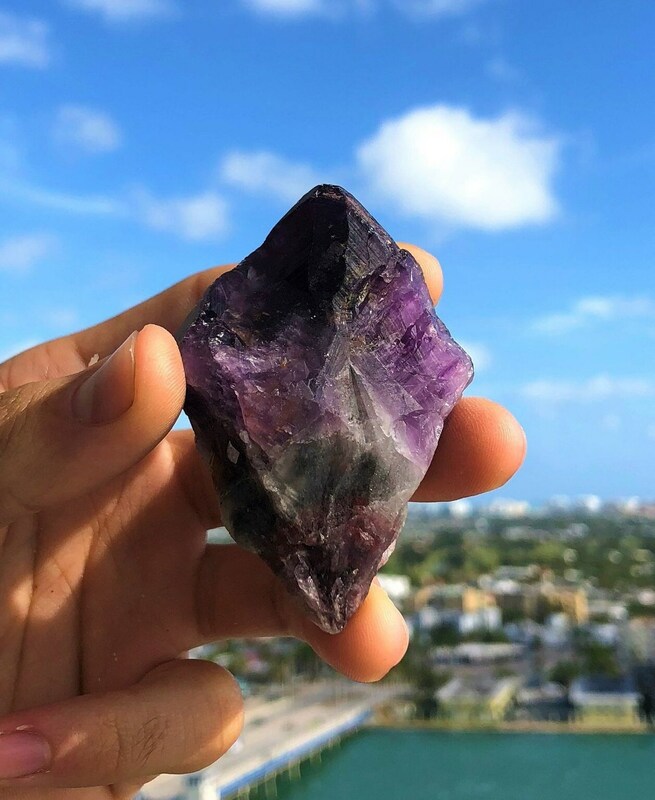 This Listing includes the ONE super seven crystal- the same one in the pictures. 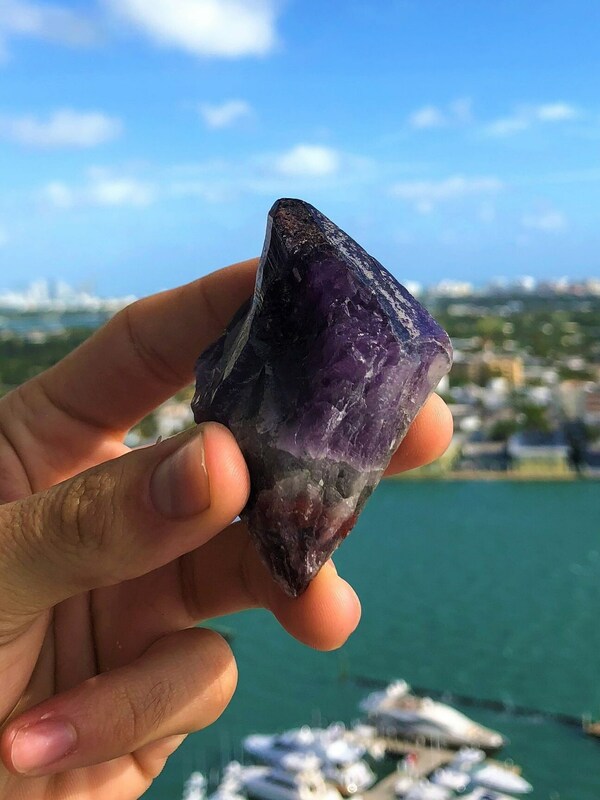 AMETHYST – Encourages and supports the awakening of the spiritual senses, intuition and clairvoyant abilities. Amethyst helps with stability, it also aids in the balancing out of negative energy. SMOKY QUARTZ – Helps one stay focused, alert and in tune with the surroundings. Smoky Quartz also enhances the ability to be a good business person. It is protective and healing. CLEAR QUARTZ CRYSTAL, mostly known as the crystal that amplifies and strengthens, it is a powerful healer, as well as bringing skills in listening . Quartz Crystal also helps with the continuity of the flow of energy. RUTILE – Is seen as a stone of joy and optimism, it is a crystal that can strengthen love bringing growth inspiritual aspirations. Rutile helps being out stability in any love or relationship. It also brings mental balance. GOETHITE – known to aid in the ability to keep to ones tasks clear making one concentrate and focus on the task ahead. Goethite helps and aids in the balance of negative and the positive. LEPIDOCROCITE – is a crystal enhances the intellectual ability. Lepidocrocite also gives an individual to have sound thoughts and emotional grounding. CACOXENITE – is a crystal known to aid one understand all the positive aspect of life, enhancing the openness to spiritual pursuits. Cacoxenite also empowers one to dispel any negativity. 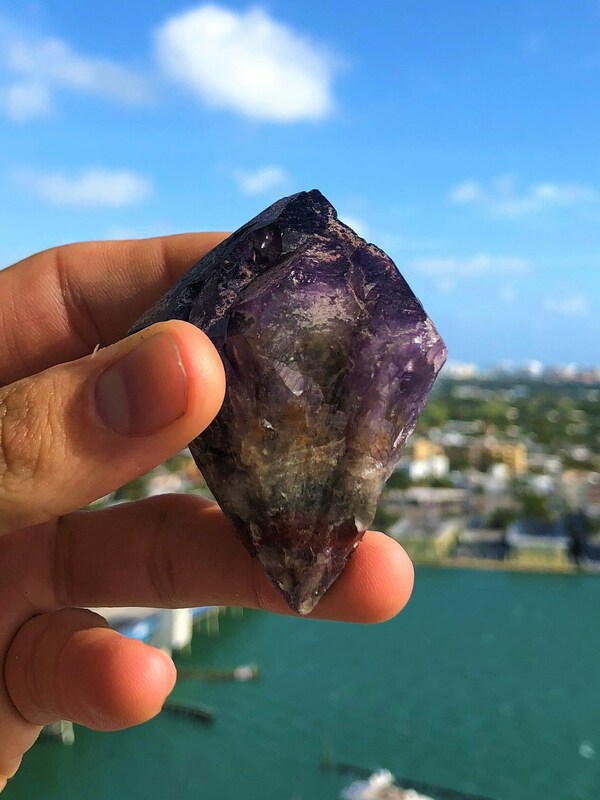 Super 7 carries the vibration of all of those crystals together, it’s a very special and RARE stone!